Lynne’s been to Ireland with me a few times now. This is one of her favorite stories. She and Linda had tucked into The Creamery Restaurant in Bunratty for dinner and the creme brulee caught her eye. Lynne’s all about her deserts. Apparently it was delicious and in talking with their server Lynne asked if the cream was local. “Oh no,” came the quick reply, “it’s from Limerick.” Limerick is eight miles from Bunratty. While this story reflects prevailing public sentiment on local and organic food, it does not reflect the whole story. It was a great victory, although short-lived. The Irish were aware that when Germany adopted a no-GMO policy they were sued by Monsanto. And so they braced themselves. Sure enough. In a threat made to nations who rejected GMO crops and biotechnology overall, United States ambassador to France and business partner to George W. Bush, Craig Stapleton, made it clear that all nations opposing GMOs will be hit with calibrated ‘target retaliation’ and ‘military-style trade wars’. In 2011 the Irish government “confirmed that Ireland has altered its voting position and will support a number of proposals from the EU Commission aimed at authorizing the placing on the market of food, food ingredients and feed containing, consisting of, or produced from genetically modified maize and cotton.” It didn’t stop with maize and cotton. In 2012 the potato fell. Yet in the midst of current economic conditions the Irish people seem to remain both concerned and committed to local, organic, and unadulterated food sources. 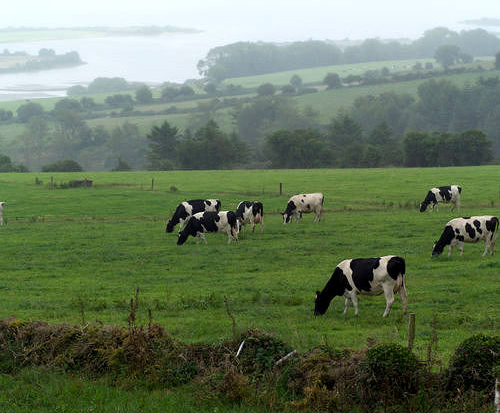 It’s an ethic and movement aligned with how many Irish see themselves in relationship with their land…and their food. It may not live in the politics but it does live in the people. And in the David and Goliath drama, Ireland is well familiar with the role of David.